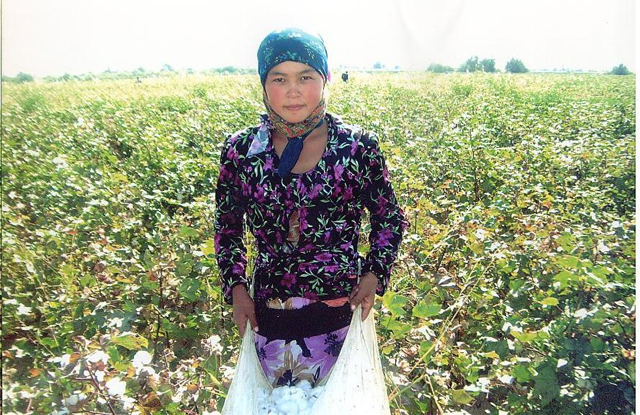 The 2015 cotton harvest in Uzbekistan is concluding. On October 14, Prime Minister Shavkat Mirziyoyev officially announced the completion of the national production plan and yield of 3.35 million tons of cotton. A week later high schools and universities began sending students home from the fields, where they had picked cotton for approximately 40 days. 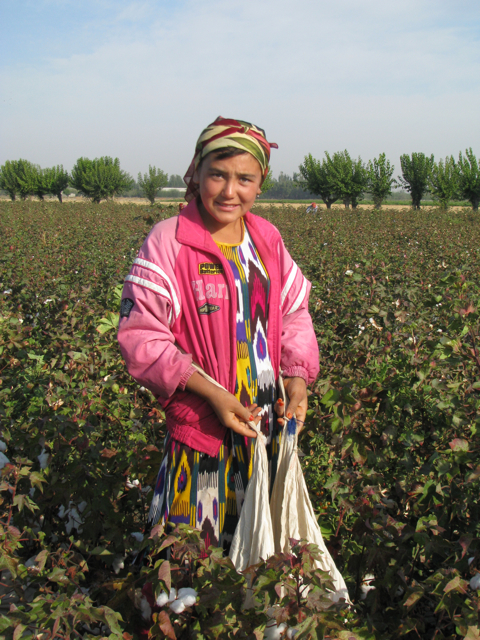 The Uzbek-German Forum for Human Rights (UGF) monitored the 2015 cotton production cycle from beginning to end. 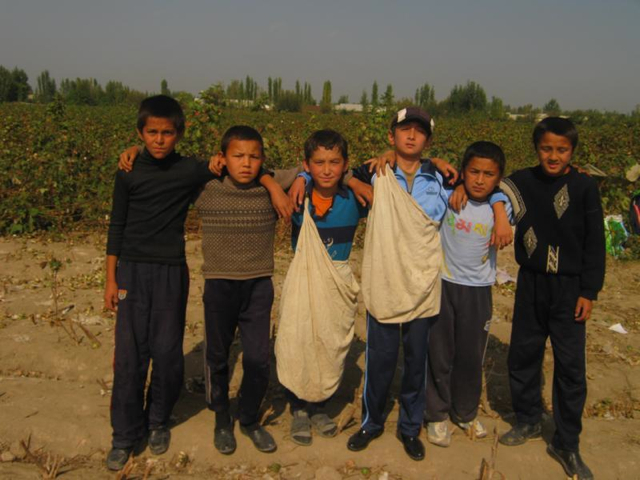 The Uzbek government implemented a forced-labour system as it has in previous years. Perhaps the stand-out characteristic of 2015 was the government’s extraordinary effort to mask its use of forced labour and claim that the mass mobilization of labour is voluntary: Officials instructed public-sector workers to inform international observers that they work in the fields voluntarily. Universities and high schools required students to write statements that they voluntarily participate in the cotton harvest. Police repeatedly arrested and physically assaulted human rights defenders to try to stop them from monitoring. Yet the evidence, including official documents, confirms the use of forced labour by the government, in violation of international law and national law as well as the government’s commitments. UGF presents this 7th and final issue of the Chronicle of Forced Labour in Uzbekistan 2015, which details violations of commitments made by the Uzbek government, that are explained in the previous Issue 6 of the Chronicle. 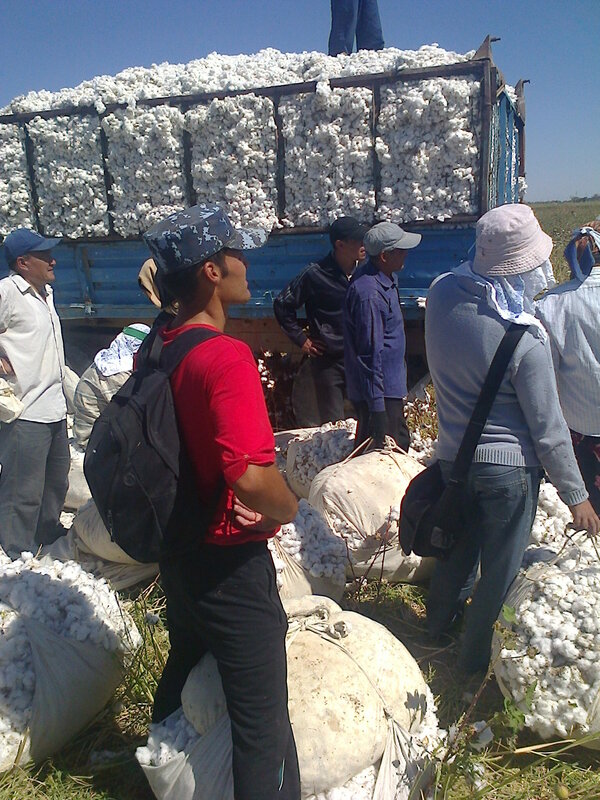 We will publish a comprehensive report on the 2015 cotton production cycle after gathering additional data from Uzbek citizens returning from the cotton fields. 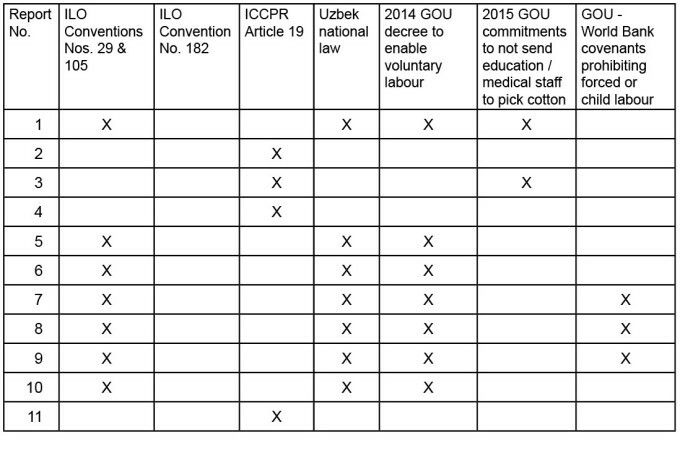 UGF calls on the Uzbek government, International Labour Organization and World Bank to address the following reports of violations of its commitments, detailed below. 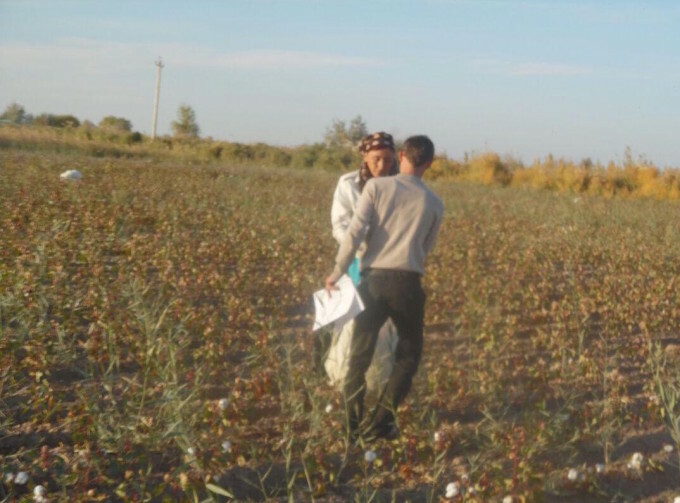 Report 1: The head (hokim) of the Khazarasp district, Khorezm region threatened to fire and physically assault administrators of public- and private-sector organizations in the district in order to pressure them to fulfill the cotton harvesting quotas assigned to each of the organizations. The following is the transcript of a recording of a cotton headquarters meeting convened by the head (hokim) of the Khazarasp district, Khorezm region Uktam Kurbanov on September 29. Starting at approximately 9:00 PM, Mr. Kurbanov began to reprimand and threaten the administrators of organizations that were behind schedule on the completion of the cotton harvest quotas assigned to them. Uktam Kurbonov [ed. Hokim]: So Yangibazar [ed. a company], what do you have? Stand up. Yangibazar Administrator: Boss, I’m hear. Hokim: Department of Culture. How many of your people went? Culture Department Administrator: 30 of us. Hokim: Printing house [ed. of the district government office, “hokimiyat”], well, report to me. Printer Administrator: From our four departments all workers went to collect cotton. Hokim: From the department of finance, how many people did not go pick cotton? Printer Administrator: Boss, I had 3-4 people who were needed as workers. Hokim: What kind of hard work did they perform? Hokim: Let the school personnel sit in the school. There is no need for the others. For one month, nobody should sit in the hokimiyat. Printer Administrator: It will be done, boss. Hokim: Cotton! You have to go and pick cotton and fulfill the norm. Is it clear!? It is not necessary, even if they come from the republic [ed. national government]. They must go and pick cotton. You’ve chosen the wrong time! This police applies to everyone! If even one person does not go out, it will be bad for you! I’ll shut down your organizations! Everyone, without exception, whether from the hokimiyat, tax authorities, the bank or other organizations, all will be shut down. Come on, Bank, answer. Bank Administrator: Boss, all of our workers went to the harvest. Hokim: Then everything is fine, everybody went to the harvest, everything is fine. Bank Administrator: Boss, all of our employees delivered 50 kilograms per day. Since the beginning of the season, 50 to 60 kg of cotton, it’s true; you can check. 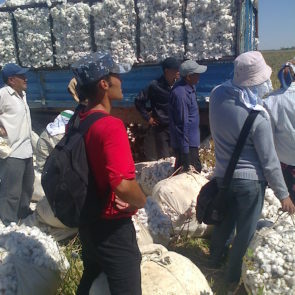 A bus with 65 to 70 people leaves to the cotton fields every day. Hokim: The plan has not been fulfilled! Now I read…sit down. Everyone should go to the cotton! No one should stay home! SES…What’s this? You delivered only 1,286 kilograms? Why is that? I’ll tear your head off! 1,200 kilograms, who implements the plan?!…Tax? Tax Administrator: We’re all here. Hokim: What did you do? Where is Muzaffar? Call him quickly. You delivered only 224 kilograms! How can you do this? Hokim: Where is Sanoat [ed. a company]? Who will go for you? Hokim: You, yourself go! You have to bring all of your people! Work will be after 7 at night until the morning! Source: Malokhat Eshonkulova, Audio recording, Uzbek-German Forum for Human Rights, 29 September 2015. Report 2: The police arrested two human rights defenders and two local residents and subjected the activists to body-cavity searches during a 12-hour interrogation, in Khazarasp district, Khorezm region, where the activists were documenting conditions in the cotton harvest. On 29 September, Urlaeva and Malokhat Eshankulova of the Human Rights Alliance of Uzbekistan were arrested and detained alongside two local residents in the Khorezm district. The women claim they were taken to a police station where they were strip-searched before police ordered a gynaecologist to conduct a cavity search with medical instruments, which was done in the presence of male police officers. The activists say their request to be examined in the privacy and safety of a hospital was declined. 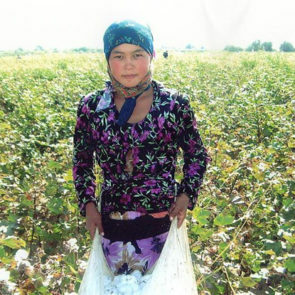 Source: Kelly, Annie, “Uzbekistan accused of brutal crackdown on activists investigating forced labour,” The Guardian, 21 October 2015, http://www.theguardian.com/global-development/2015/oct/21/uzbekistan-forced-labour-cotton-harvest-violent-crackdown-activists. Report 3: The police arrested, detained and beat a human rights defender in September, when he was documenting government buses taking teachers and industrial workers to pick cotton in Buka district, Tashkent region, in September. Report 4: Police arrested, interrogated and threatened a human rights defender with reprisal if she continued to communicate with officials of the United States government, on September 29 in Karshi district, Kashkadarya region. Human rights defenders Gulshan Karaeva and Nodir Akhatov met with representatives of the U.S. Embassy in Uzbekistan on September 29 in Karshi district, Kashkadarya region. Police arrested Ms. Karaeva during her return home, detained and interrogated her, and accused her of espionage and treason. The police claimed that the U.S. government was an enemy and urged companies to not buy Uzbek cotton, and threatened Ms. Karaeva with reprisals if she continued to communicate with U.S. government representatives. Source: Karaeva, Gulshan, report to Uzbek-German Forum for Human Rights, 12 October 2015. 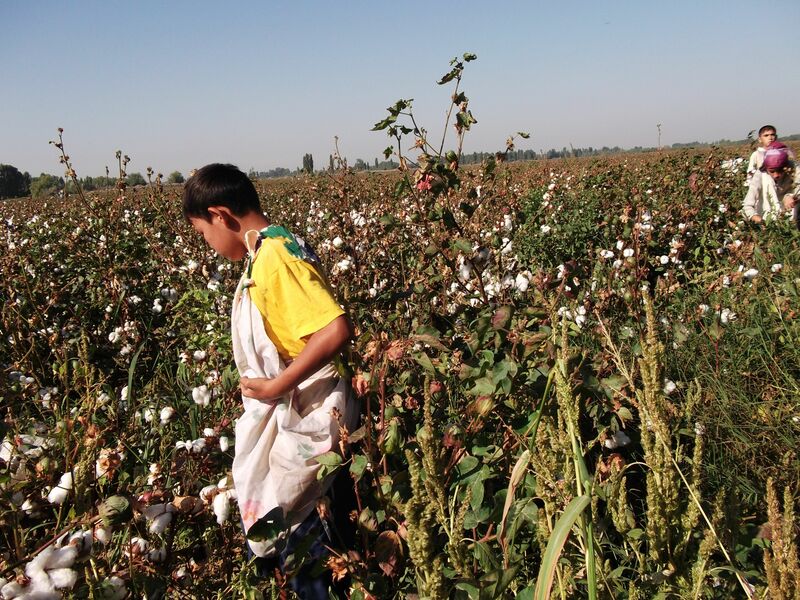 Report 5: The governor of Fergana region Shukhrat Ganiev forced hundreds of citizens to work in the cotton fields on September 30, by pasting cotton back onto plants in advance of an expected visit by the Uzbek Prime Minister Shavkat Mirziyoyev. 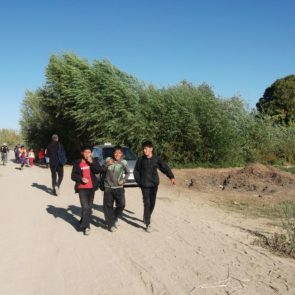 Residents of Kushtepa district reported that local officials forcibly mobilized approximately 400 men and women from the Shaharteppa village to glue the cotton back onto the plants and to sweep the road over which the Prime Minister was expected to arrive. The Prime Minister did not visit the district. Source: “В Фергане к приезду премьер-министра людей заставили приклеивать «хлопок» к коробочке хлопчатника,” Radio Free Europe, Radio Liberty “Ozodlik,” 10 October 2015, http://www.ozodlik.org/content/article/27298502.html and “Uzbeks Unpick Cotton to Please No-Show PM,” Radio Free Europe, Radio Liberty, 13 October 2015, http://www.rferl.org/content/uzbekistan-cotton-glued-on-for-official-visit/27304344.html. Report 6: The regional governor (hokim) of Syrdarya region closed the Central Market of Gulistan district until 4:00 PM each day until the region fulfills its cotton quota. Source: “Власти Узбекистана направили несколько десятков сил безопасности, чтобы закрыть местный рынок в хлопковый сезон,” Radio Free Europe, Radio Liberty “Ozodlik,” 9 October 2015, http://www.ozodlik.org/content/article/27297789.html. 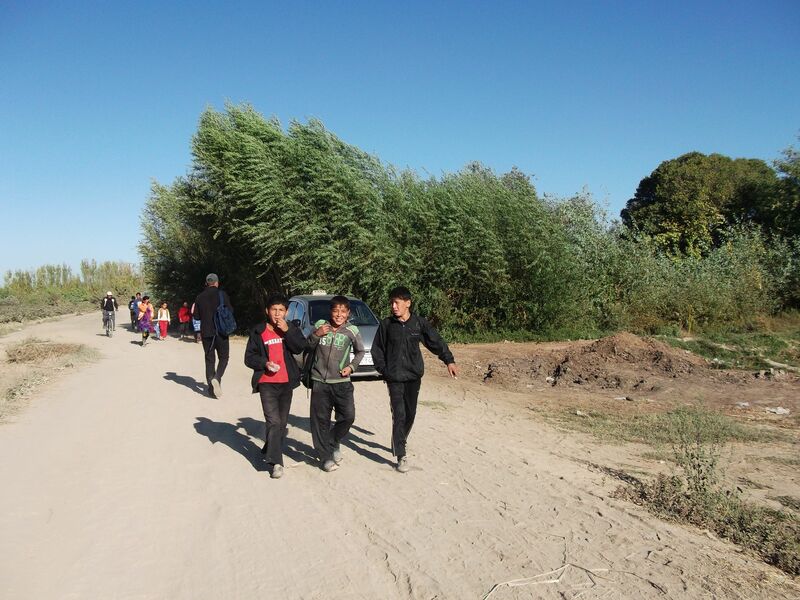 Report 7: The administrators of a high school in Ellikala district of Karakalpakstan threatened students with expulsion in order to mobilize them to work in the cotton harvest, and a student with a known vision impairment committed suicide in a cotton field on October 2. 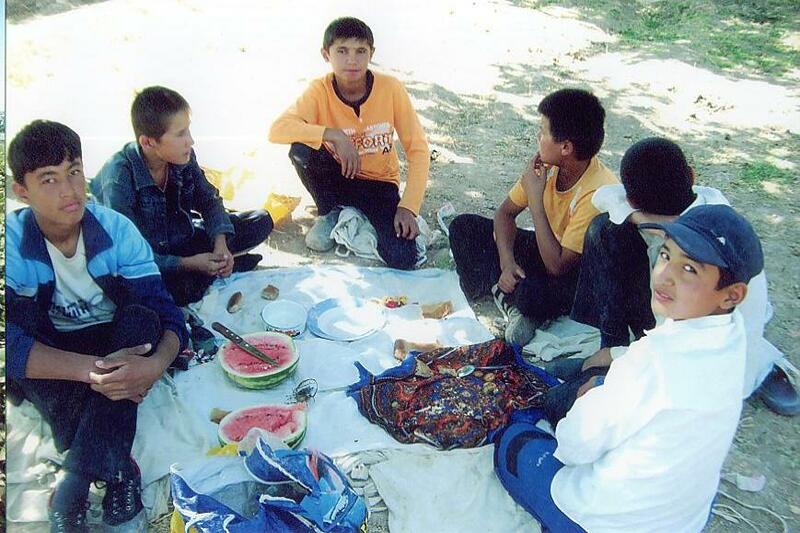 Report 8: The administration of Samarkand State Medical Institute threatened students with expulsion in order to mobilize them to pick cotton, and one of the students died when the car transporting him to the cotton field crashed into a tractor on October 11. Source: “Студент Самаркандского мединститута стал очередной жертвой хлопковой кампании,” Radio Free Europe, Radio Liberty “Ozodlik,” 17 October 2015, http://www.ozodlik.org/content/article/27311471.html. 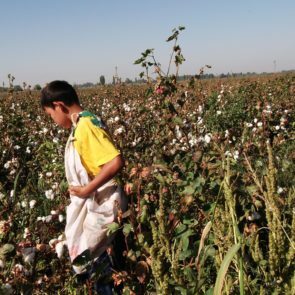 Report 9: Prime Minister of Uzbekistan Shavkat Mirziyoyev ordered the penalization of farmers that have not fulfilled their state-assigned cotton production quotas and have outstanding debts, including by confiscating cars, cattle and other assets. 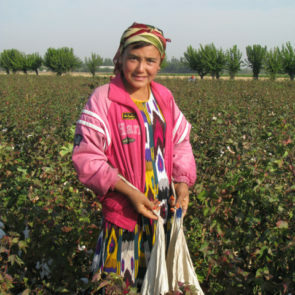 The Prime Minister of Uzbekistan oversees cotton production through a series of meetings throughout the annual production cycle. 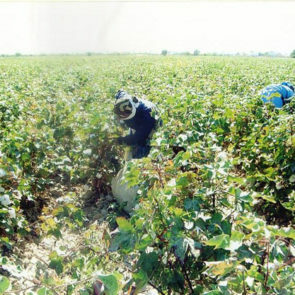 During a conference call on October 12, Prime Minister Shavkat Mirziyoyev ordered increased enforcement of the cotton production quotas assigned by the government to each farmer, by penalizing farmers who do not fulfill their quotas or have outstanding debts, including by confiscating farmers’ cars, cattle or other assets. Prime Minister Mirziyoyev called the order “Chopper” (“Oybolta”). 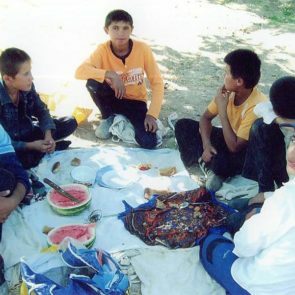 While farmers in Uzbekistan are characterized by the Uzbek government as independent, in reality they are forced to follow local authorities’ orders without question. Cotton and grain cultivation, including the determination of purchase prices and purchasing of the crops is managed by the government. Farmers are also required to purchase fuel and fertilizers from the state at state-established prices. Source: “Премьер-министр Узбекистана начал «убийственную» кампанию против фермеров,” Radio Free Europe, Radio Liberty “Ozodlik,” 14 October 2015, http://www.ozodlik.org/content/article/27305582.html. 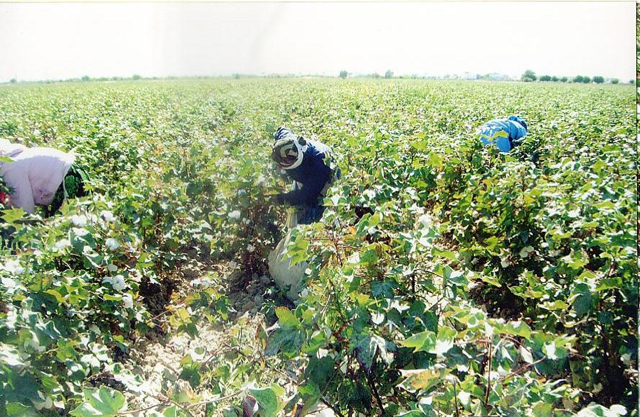 Report 10: Officials ordered citizens to lie to International Labour Organization (ILO) monitors and claim that they picked cotton voluntarily, in the districts of Karshi and Nishon in Kashkadarya region. 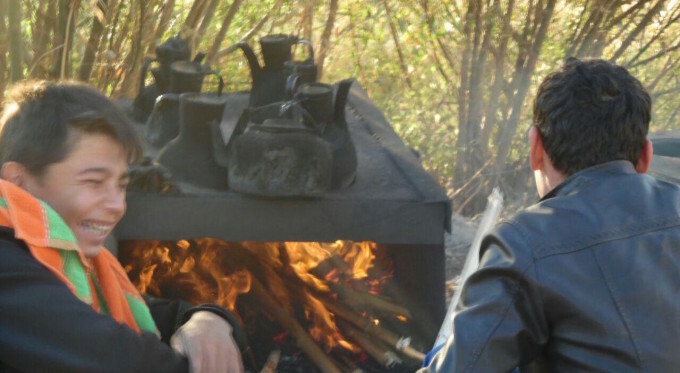 Report 11: The Prosecutor’s Office of Angren, Tashkent region charged human rights defender Dmitry Tihonov with “disorderly conduct,” a misdemeanor that carries a penalty of 3-5 minimum wages or 15-day detention, on October 19. On October 19, the Angren district police Major Bekzod Martavaliev notified Dmitry Tihonov of the charge of disorderly conduct, a misdemeanor under Articles 299 and 305 of the Administrative Code of the Republic of Uzbekistan. The allegation of disorderly conduct was signed with the names of three women, two of whom are chairpersons of neighborhood committees (mahallas). Under the Administrative Code Article 299, a defendant is entitled to have a lawyer review the case file and to copy documents therein. Major Martavaliev denied Mr. Tihonov’s lawyer’s request to make copies of his file. When Mr. Tihonov and his lawyer requested a meeting with the chief of police, they were informed that he was unavailable, at the cotton fields.